The Adele PDF Digital Ruffled Layering Shirt Pattern. This listing is a digital PDF pattern. 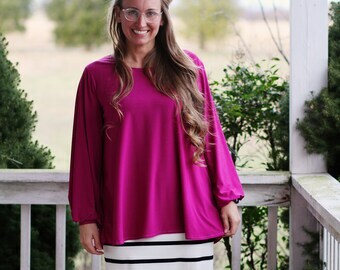 This shirt is perfect for layering or wearing alone. 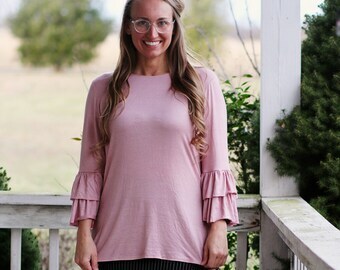 Comfortable knit and a hidden feature........sleeve cuffs under the ruffles! 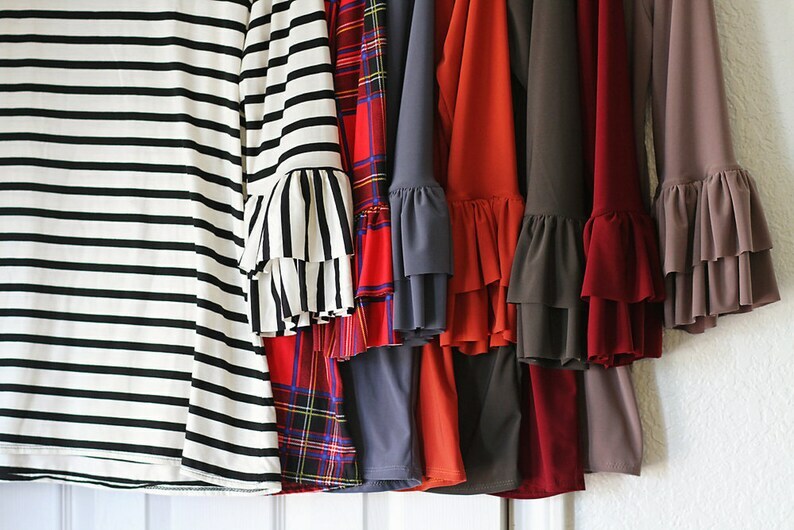 No more exposed elbows when the ruffles fall back. PLEASE NOTE: You will NOT receive anything in the mail. This is digital delivery and there are NO refunds/exchanges or returns on digital items. Thank you! Haven't made the top yet, but very easy to understand directions. Hope you have more PDF patterns in the future.